Offering a few moments of quiet before a busy day begins, these warm, authentic meditations will help readers still their hearts and hear God's voice. Encouraging and thought-provoking reflections reassure them that God will never leave them. This devotional creates a sacred space to commune with God and sense His nearness. 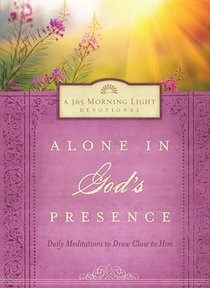 About "Alone in God's Presence"